We understand the unique suffering fire damage can cause. Our first priority at a fire scene is your safety. Next we work to calm your fears by providing you useful information or by just listening. After that, the professionals at ProCore assesses the type of fire that look place by testing the smoke damage. Once we know (s) the type of smoke damage we are able to determine the best course of action to restore or replace what has been damaged. We do understand, however, that some things simply cannot be replaced. We consult with you and explain the most effective cleaning and restoration methods to save your most treasured possessions. We know this is a tough time for you. We know you just want things back for normal. And we know how to make it happen. 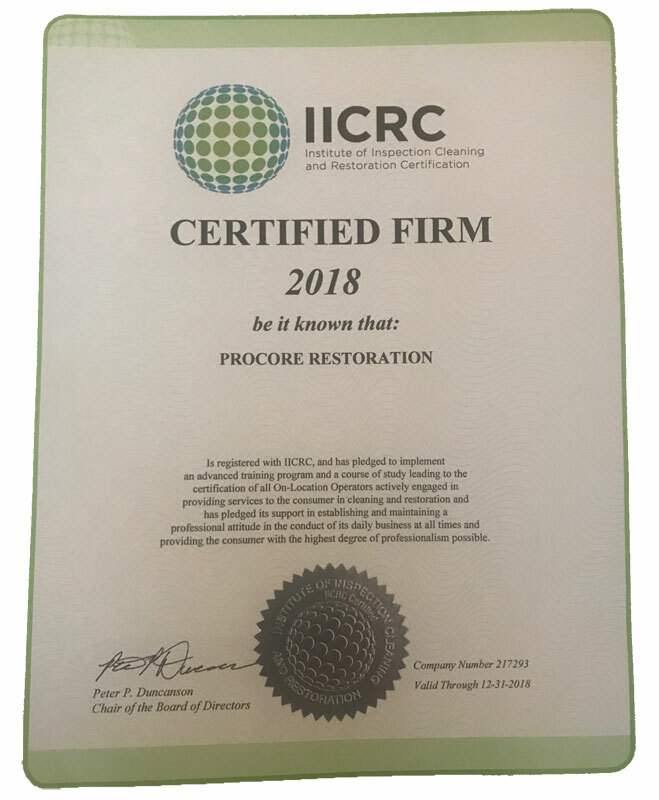 For professionals who are familiar with smoke and fire damage, call ProCore Restoration.